1. Reddit Founder And Activists Aim To Build A ‘Bat-Signal For The Internet’ – enabling regular SOPA-style mass protests at the push of a button. 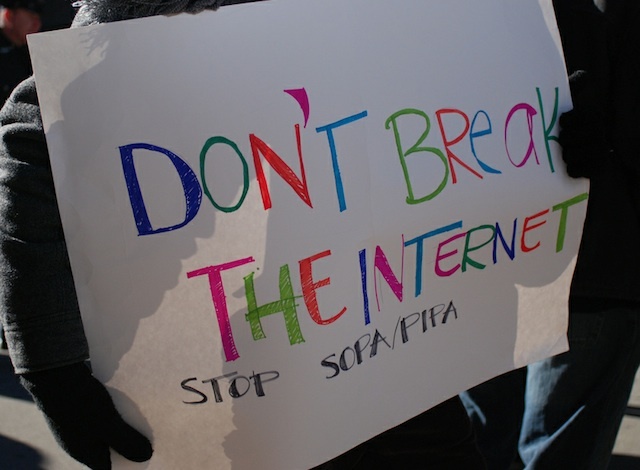 The “blackout” of Web sites to protest the Stop Online Piracy Act (SOPA) in January was an unprecedented show of Internet solidarity against bad legislation. 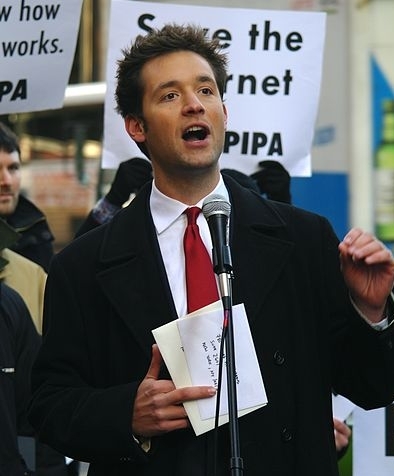 But with new net-threatening measures like ACTA and CISPA popping out of Congress on a practically monthly basis, one online entrepreneur and a group of net activists want to enable regular SOPA-style mass protests at the push of a button. 2. 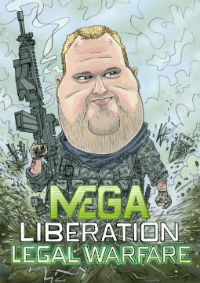 Megaupload founder Kim Dotcom is demanding access to 135 computers and hard drives that were seized from his home in January, so the data can be used for his defense. Until then, he refuses to give up passwords to encrypted data stored on the machines. Megaupload founder Kim Dotcom is demanding access to 135 computers and hard drives that were seized from his home in January, so the data can be used for his defense. Until then, he refuses to give up passwords to encrypted data stored on the machines. Dotcom’s legal team is challenging the legality of the search warrants at the High Court in Auckland and is accusing the US Government of an unfair fight. Nations that carry out cybercrimes and wreak online havoc pose the greatest threat to the future of the internet, the chairman of Google has warned. 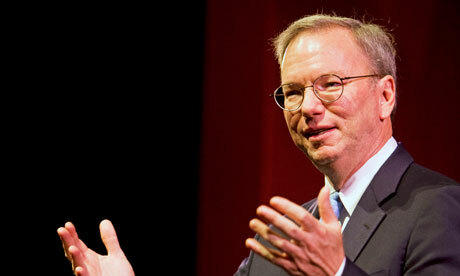 In a speech delivered at London’s Science Museum on Wednesday, Eric Schmidt said the internet would be vulnerable for at least 10 years, and that every node of the public web needed upgrading to protect against crime. Fixing the problem was a “huge task” as the internet was built “without criminals in mind” he said. 4. 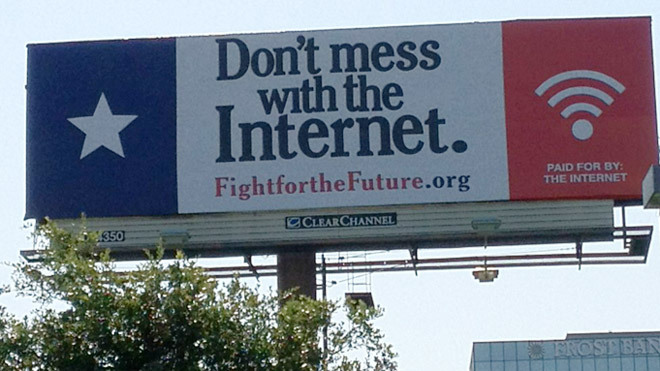 Your Don’t Mess With the Internet billboards are up in Lamar Smith’s home district! SOPA sponsor Lamar Smith came close to destroying the Internet we love (it took the largest online protest in history to stop him). So we thought it would be awesome if the internet sent Lamar a message, in the form of a billboard right outside his Texas office. 5. Google Chrome is now the most popular browser in the world. 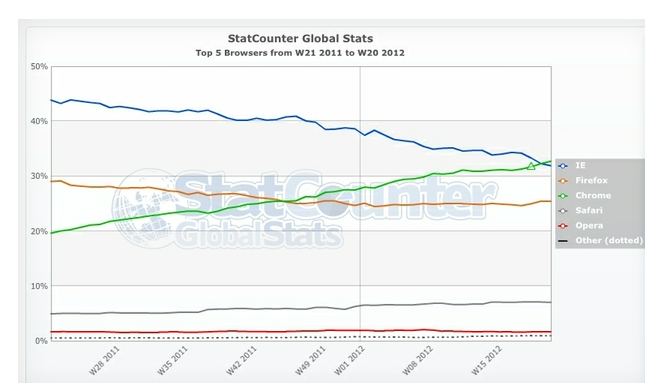 For the first week in history, Google Chrome is the most-used browser in the world, according to Statcounter. While Chrome has been leapfrogging the incumbent Internet Explorer on weekends for some time now, the week of May 14th–20th marks the first time Chrome has averaged a higher traffic share over a full seven-day stretch. 6. U.S. hacker organization Anonymous just leaked 1.7gb data, email, from U.S. Bureau of Justice. Greetings world,We are Anonymous. Today we are releaseing 1.7GB of data that used to belong to the United States Bureau of Justice, until now. Within the booty you may find lots of shiny things such as internal emails, and the entire database dump. We Lulzed as they took the website down after being owned, clearly showing they were scared of what inevitably happened. I have found out recently that the remote assistant software that we put in a smartphone we sell can be activated by us without user approval.We are not using this option, and it is probably there by mistake. But the people who are responsible for this system don’t see it as a big deal. Because “We are not going to use it”… Am I wrong for going ballistic over it? What would you do about it if it was your workplace? 9. It’s legal armageddon as NBC, CBS and Fox sue Dish Network over its new DVR feature allowing users to automatically skip ads, and in response, Dish sues them right back – and adds in ABC for good measure. t’s legal armageddon as NBC, CBS and Fox sue Dish Network over its new DVR feature allowing users to automatically skip ads, and in response, Dish sues them right back – and adds in ABC for good measure.